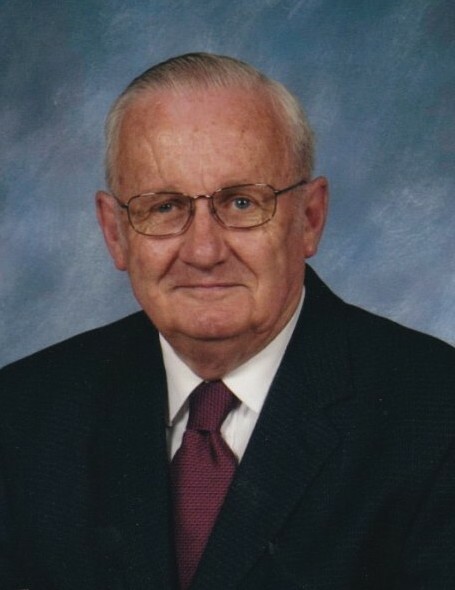 John McGaheran, who respectfully served as Owatonna Mayor for 10 years, passed away suddenly on Saturday, June 30, at District One Hospital in Faribault, MN. He was 83. Mass of Christian Burial will be 11:30 AM Monday, July 9 at St. Joseph Catholic Church, Owatonna. Friends may greet the family two hours prior to the funeral mass starting at 9:30 AM. Military Honors will be provided by the Steele County Funeral Unit. There will be a parish rosary recited at the church starting at 9:30 AM. John Michael McGaheran was born November 5, 1934 in Owatonna, MN the son of Michael C. and Paulene (Bruzek) McGaheran. John graduated with the class of 1952 from Owatonna High School. Following high school, John attended St. Thomas University in St. Paul from 1952 to early 1954. In January of 1954, John volunteered for the draft after the Korean Conflict by joining the U.S. Army where he served in the 5thArmored Artillery Division at Camp Chaffee in Fort Smith Arkansas. John was supposed to be shipped oversea to Hidelburg Germany but unfortunately came down with rheumatic fever and served the rest of his time in Arkansas. John was honorably discharged from the U.S. Army as a Private First Class in November of 1955. After the Army, John went back to college and attended the Mankato State College where he graduated with a B.A. degree in Business and Economics in 1958. His first job after graduating college was a bank teller at Security Bank and Trust in Owatonna. On September 5, 1959, John married the love of his life, Rita Buskovick at St. Joseph’s Catholic Church in Owatonna and have been together for nearly 59 years. Together the couple raised four children, Mike, Sheila, Lisa, and Mark. In 1971, John accepted a job transfer with Viking Adjusting and moved the family to Wilmar, MN for one year before moving back to town. During his career, John was a Customer Relations Manager for Jostens. He also worked for several insurance companies as a field adjuster for more than 25 years and before retiring in 2000, John spent six years at Cybex in the shipping and warehouse department. John never shied away from being active in his church and his community. John volunteered as a lay minister, lecturer and usher over the years at St. Joseph’s Church. He also helped count the collection money on Monday nights. He also enjoyed helping out cleaning the church with his Father-in-Law, Ray Buskovick and sang in the church’s funeral choir for a brief time. In 1966, John was bitten by the political bug and was elected as 4thWard Council member from 1966-1972. He also served on the city’s Planning and Charter Commissions and the American Public Works Association during this time. It wasn’t until 1974, John set out to challenge incumbent Mayor Clayton Wanous and won. John served with pride 5 two year terms as Owatonna Mayor until 1984. His highlights as a mayor was helping bring the late actor, Lorne Greene of Bonanza fame to town to shoot a promotional video for the Toro Company. He also attended a Mayor’s Convention in Washington D.C. where he met former U.S. Senator Dave Durenburger and he also met former Vice President Walter Mondale. His other accomplishments as mayor was Bridge Street-I35 interchange and the City Hall Complex at West Hills. During his time as mayor, John volunteered several times as a state judge for the Minnesota State Junior Miss program. John loved attending Owatonna football games on Friday nights in his younger years. Earlier in their marriage, John and Rita had season tickets to Gopher football games and spent many Saturday afternoons with their friends at old Memorial Stadium. John and Rita loved to travel to Iowa City, Iowa; Lincoln, Nebraska and Madison, Wisconsin to watch the Gophers. John cherished the moments with his children and grandchildren by attending their various activities. He spent almost every morning by attending morning mass at St. Joseph’s, attended Adoration many Thursday afternoons at Sacred Heart Church and was a part of the morning coffee club at Hy-Vee deli. John enjoyed playing cards and spending his afternoons at the Elks Club. John was a charismatic soul who enjoyed the attention and limelight, was never shy to tell you how he felt but also was very gracious in extending his hand in friendship with a big warm smile. He will be sorely missed by all of his loved ones. John is survived by his wife, Rita McGaheran and his four adult children: Mike (Kayleen) McGaheran, Sheila Fraser and Mark McGaheran of Owatonna, and Lisa Williams of Victorville, CA. He is also survived by his seven grandchildren: Travis (Jackie) Fraser of Long Beach, CA, Tyler (Amanda) Fraser of Savage, MN, Kelsey McGaheran of Everett, WA, Garrett Williams of Victorville, CA, Dylan McGaheran, Logan McGaheran, and Cody McGaheran of Owatonna and one great grandson, Cole Fraser of Savage, MN, along with many loving nieces and nephews. John is preceded in death by his parents, Michael and Pauline McGaheran, two sisters, Shirley Malay and Sharon Liane, and one infant granddaughter Ashley Williams, as John referred to her as his little angel in heaven. Memorials are preferred to the Owatonna Hospice House or the donor’s choice.